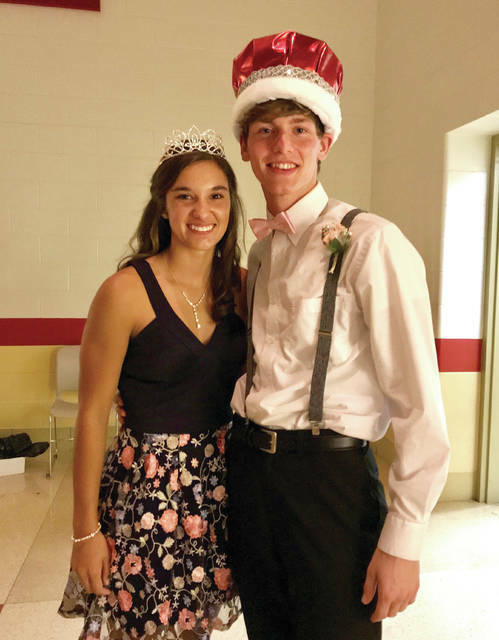 Provided photo Kristen Dickison was crowned Milton-Union Homecoming Queen at the Friday night football game and Jake Palmisano was crowned Homecoming King at the dance on Saturday evening. Kristen Dickison was crowned Milton-Union Homecoming Queen at the Friday night football game and Jake Palmisano was crowned Homecoming King at the dance on Saturday evening. https://www.weeklyrecordherald.com/wp-content/uploads/sites/51/2018/10/web1_image1.jpegProvided photo Kristen Dickison was crowned Milton-Union Homecoming Queen at the Friday night football game and Jake Palmisano was crowned Homecoming King at the dance on Saturday evening.